Surfers and windsurfers all come to La Paloma Uruguay which is recognized as Uruguay's surfing capital. The breaking waves along this coast create surfing conditions that are ideal for dedicated surfers. These sports are able to be pursued year round in Uruguay but it is during the summer months when you can expect the Uruguay beaches to be crowded with both surfers and spectators who all come to experience the thrilling excitement that accompanies these adrenaline charged sports. Many of the people of Uruguay are taking to the ocean waters but there is an ever growing tourist population who come to Uruguay for surfing adventures during the months when the waves are at their tallest and most powerful. South America is a popular site for windsurfing activities and now more people living in Uruguay are enthusiastic in their support for this high energy, water sport. Surfing, swimming and sailing are all outdoor activities that residents enjoy and today kite sailing and windsurfing in Uruguay are becoming top choices of young adults and teens residing in this nation. The rising popularity of this water sport is being fueled by a large number of tourists who come to Uruguay's coastal regions in search of the best places to challenge the waves and wind. Windsurfing is recognized as being a great hybrid derivation of two other sports, surfing and sailing. 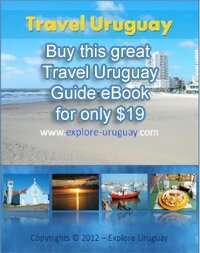 This sport requires a great deal of practice to perfect the maneuvers and techniques but there are many outstanding areas in Uruguay for people to practice. Equipment is available for sale and rent in some of the larger cities of Uruguay, but you will also find some dedicated windsurfers bringing their personal sports paraphernalia with them as they travel. In Montevideo Uruguayyou will see many windsurfers out testing their abilities, particularly on the Rio de la Plata. The beaches that line the Rocha coast are some of the top windsurfing sites in all of Uruguay. Cabo Polonio and Punta del Diablo are both smaller towns that are better known for fishing related activities, but the coastlines and beaches that are found in these regions provide excellent conditions for both surfers and windsurfers to experience.